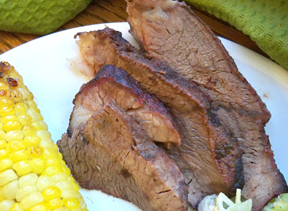 A marinated roast beef that is grilled to perfection. This is an easy way to prepare a roast for dinner any night of the week. 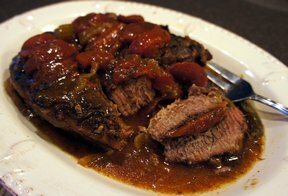 The simple marinate allows the true flavor of the beef roast to come through. Mix the Worcestershire sauce and cooking oil together. Place the roast in a sealable bag and then pour the marinade over the roast; seal the bag and place in a pan to protect against leakage. Place in the refrigerator and allow to marinate for at least half an hour or up to 4 hours. Remove the roast from the bag and discard the marinade. Place the roast in an aluminum pan. Place on the grill over direct high heat to sear each side for 5 minutes. 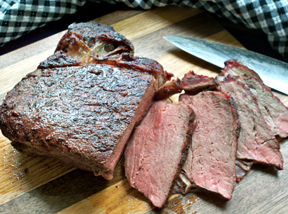 Finish grilling the roast over indirect heat for 1 1/2 to 2 hours or to desired doneness. Remove from the grill and allow to stand for 15 minutes before carving. "Haven't fixed but intend to as we like to grill. What cut of beef is best?" "Easy and tasty! 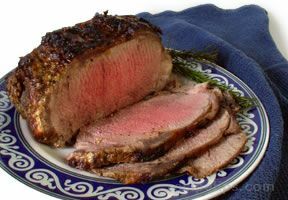 We don't like a lot of seasoning added to our roasts and the Worcestershire sauce added just a little extra flavor but not overbearing."